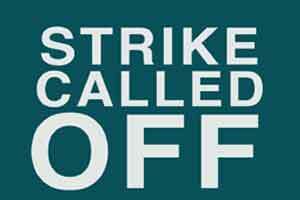 Shimla: Agitating ambulance employees in Himachal Pradesh decided to end their 10-day strike today after GVK EMRI (Emergency Management and Research Institute), which runs the 108 and 102 services, agreed to accept some of their demands. According to the state employees union head Pooran Chand, the employees would resume their work tomorrow as their demands of eight-hour duty and payment of arrears by July 20 have been accepted. We have reached a written compromise with the representatives of the company, Chand told PTI. The company national president Subodh Satyavadi and its state head Mehul Sukumaran too have accepted our demand of reinstating the 63 terminated employees after reviewing their cases, he added. “We are happy that the ambulance employees have decided to end their strike after a written compromise with the active help of state officials of health department,” Sukumaran told PTI. On their main demand of running 108 ambulances under the purview of National Health Mission (NHM), Chand said the state health officials had assured them of studying the technicalities.